One of the best things to understand about dogs is that they are both predictable and unpredictable. Scientific studies reveal that wolves are the ancient ancestors of dogs, and years of domestication do not make them incapable of behaving in an unexpected manner. Owners who say that their dog does not bite are making a promise that they cannot keep, creating a situation that can have a bad outcome. The Dashner Law Firm specializes in personal injury claims for dog bites. Even though dogs are loving creatures that are usually accustomed to touch, there are some activities that they do not like. Children’s lack of fine motor skills causes them to make lurching movements, often an upsetting experience for some dogs. Experts recommend letting a dog sniff a person to establish a willingness to accept touching, and parents need to teach children to respect a dog’s ability to defend itself. 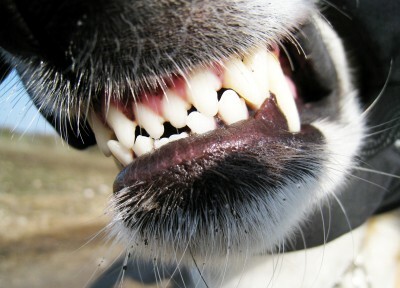 A chained dog, one that is feeding its young, and any dog that shows its teeth as a sign of aggression can inflict dog bite injuries when approached. The Centers for Disease Control and Prevention (CDC) reports that pit bulls and rottweilers account for more than half of fatalities resulting from dog bite injuries. Some owners train their dogs to act aggressively, and they share the blame for the animal’s unacceptable behavior. A dog bite attorney helps victims of dog bite injuries hold the owner responsible. Access to Texas legal resources is available to anyone at the Dashner Law Firm at no charge unless a claim results in compensation. Personal injury from a dog bite can cause disfigurement that is difficult or impossible to repair. An Irving dog bite attorney provides effective legal representation to get justice for victims who deserve reparation. Irresponsible behavior by dog owners who allow their pets to harm others is a matter that is addressed by Texas legal resources. Dog bite victims who think that they have no place to turn can consult with an understanding personal injury attorney at the Dashner Law Firm by calling 972-793-8989.